TORONTO, ON, APRIL 17, 2019 /insPRESS/ –On Tuesday, April 16, CSIO hosted its 2019 Members’ Meeting & Reception at the Shangri-la Hotel in Toronto. This annual meeting brings together stakeholders within the P&C insurance industry, including insurers, brokers and vendors, to celebrate the industry’s advancement in technology over the past year and the collaboration that made those accomplishments possible. This year saw a record number of guests in attendance. In his inaugural members’ meeting as Chairman of the CSIO Board of Directors, Sean Christie welcomed members and reflected on 2018 as a time of change and innovation. He described CSIO’s My Proof of Insurance eDelivery solution as a resounding success, coming to market in less than eight months due to the cooperation and dedication of industry partners. Catherine Smola, President & CEO of CSIO, spoke to the key achievements in 2018. Smola recognized the efforts of the Commercial Lines Working Group, noting that through the spirit of collaboration among 20 industry partners, they were able to achieve consensus on the 36 data elements that make up the minimum data set – a critical first step towards widespread adoption of the commercial lines data standards. Smola echoed Christie’s comments, regarding the production launch of the My Proof of Insurance eDelivery solution as one of CSIO’s biggest successes in 2018. Smola noted that since the release of eDelivery, broker adoption has been strong and continues to grow significantly across Canada, with Nova Scotia brokers leading the way at 83%, and Alberta and Ontario brokers following at 50% and 40% respectively. Brokers are heeding the call from customers for digital proof of auto insurance, and have been vocal in their support for regulatory approval. Smola also highlighted the success of CSIO’s pilot eLearning program – an initial three module course on cybersecurity. Launched in late 2018, the eLearning program garnered 700 registrants within the first two months and CSIO is excited to build on that success to deliver more digital education to members in 2019. In the awards portion of the program, Smola announced the introduction of a new award, the CSIO Award of Distinction. The award was presented to Steve Whitelaw, CSIO’s Chairman from 2012 to March 2019, for his outstanding contribution to advancing the adoption of technology in the industry. This year’s keynote speaker, Charles Dugas, PhD, Insurance AI Lead at Element AI delivered his address AI: Setting the Stage for Systems of Intelligence. In it, he provided an overview of AI capabilities, identified opportunities in insurance and explained how to select AI use cases based on desirability, feasibility and viability. Charles discussed systems of intelligence and how they sit between systems of record and systems of engagement. These systems of intelligence help break down silos by connecting data and decisions across organizations. 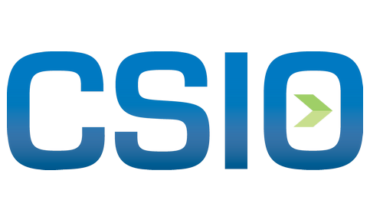 CSIO is Canada’s industry association of property and casualty insurers, software providers and over 38,000 brokers. CSIO is committed to improving the consumer’s ease of doing business within the broker channel by overseeing the development, implementation and maintenance of technology standards and solutions such as eDocs, eDelivery and eSignatures. In addition, CSIO operates the industry-owned mail network service, CSIOnet. CSIO maintains offices in Toronto and Montreal. For more information, visit csio.com.